Most students tend to opt for science courses due to the wide array of opportunities available in the Science Stream. Given the vast options available in the science field it can be classified into 2 broad categories namely Pure Sciences and Applied Sciences. Science courses like other fields, too have an Umbrella of courses comprising of sub – categories such as Pure Medical, Paramedical, Non – medical courses such as Mathematics, Physics, Chemistry and Computer courses. 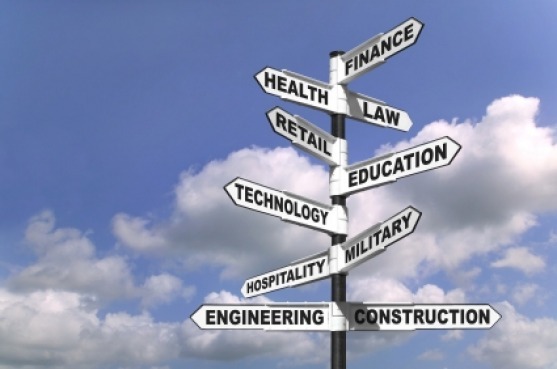 Although Business Administration and Law are non – medical courses they are other possible courses that students tend to overlook as they are not related to science. In this article we will be exploring the popular courses after 12th Science with their respective options so read on! As if the already mentioned options are not enough; within these courses you also have several options to choose from, “just great, isn’t this confusing enough!” is how most students feel at the end of every term. Based on the inclination of students there are several courses within that discipline that they can opt for. Pure Sciences: most of these courses require Physics, Chemistry and Biology group popularly known as the P.C.B. group in order to pursue these courses. Students aspiring Pure Medical courses can choose courses based on a wide array of courses specific to their interest. Pure Medical Courses: this includes courses that teach students the ways and methods that can aid them in easing the suffering of people. You’ve guessed right! It includes all medical courses such as Bachelor of Medicine and Bachelor of Surgery (M.B.B.S. ), Bachelor of Ayurveda Medicine and Surgery (B.A.M.S. ), Bachelor of Homeopathic Medicine and Surgery (B.H.M.S. ), Bachelor Of Unani Medicine and Surgery (B.U.M.S. ), Bachelor of Dental Surgery (B.D.S.) , Doctor of Podiatric Medicine (DPM) and a Bachelor in Pharmacy (B.Pharm). Paramedical Courses: this category includes course such as Nursing, Diploma in Medical Laboratory Technology (D.M.L.T. ), Bachelor of Occupational Therapy (B.O.T. ), Bachelor of Physio / Physical Therapy (B.P.T. ), Prosthetic and Orthotic Engineering, B.Sc. In Audiology and Speech Therapy, Ophthalmic Technology, Bachelor of Mental Rehabilitation (B.M.R. ), B.Sc. In Human Biology, Radiography, Radio Therapy, Nuclear Medicine, Respiratory Therapy Technology, Medical Technology X-Ray, Medical Secretarial Service, Operation Theatres, Medical Laboratory Technology, Allied Health Services, Bachelor of Speech, Language & Hearing (B.S.L.H. ), Bachelor of Naturopathy & Yogic Science, Dental Hygienist and Dental Mechanics. except for B.Sc. (Bio – Medical Technique) the eligibility is a B.Sc. with Biology, Zoology and Chemistry or B.Z.C. group. Other courses after 12th Science with the PCB group include Bachelor of Fisheries Sciences (B.F.Sc. ), Bachelor of Veterinary Sciences (B.V.Sc. ), B.Sc. (Botany), B.Sc. (Microbiology), B.Sc. (Zoology), B.Sc. (Chemistry), B.Sc. (Physics) , and B.Sc. (Home Sciences). Non – Medical Courses: as the name suggests this section consists of Mathematics, Physics and Chemistry courses. Students with an inclination towards these courses can opt for courses in the Engineering line provided they have taken the Physics, Chemistry and Mathematics (P.C.M.) group. 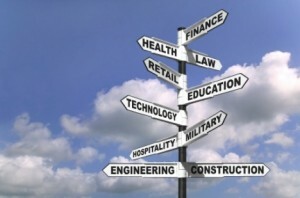 The options available to Engineering aspirants are plenty. Of the many course available, some of the core branches of engineering are Chemical, Mechanical, Civil and Electrical Engineering. Apart from these some of the popular engineering streams are Aeronautical or Aerospace, Aircraft Maintenance, Computer Science, Electronics and Communication, Electrical and Electronics, Bio-Medical, Electronics and Telecommunication, Chemical, Industrial and Production, Metallurgical and Materials, Automobile, Manufacturing, Instrumentation, Marine, Mining, Metallurgical, Agricultural, Biotechnology, Applied Engineering Science, Textile, Polymer, Environmental and Information Technology Engineering. Furthermore, the other courses after 12th Science that are available with Physics, Chemistry, Mathematics and Biology popularly known as the P.C.M.B. Group or even the P.C.M. group, are B.Sc. Mathematics, Forensic Science, Biotechnology, Microbiology, Zoology, Agriculture, Archeology, Astrology, Geology, Acturial Science, Textile, Food Technology, Environment and Botany, Horticulture, Merchant Navy, Nuclear Science, Computer science (B.C.S), Computer Applications (B.C.A. ), Architecture (B.Arch. ), Psychology, Aqua Culture, Fish Biology, Fish Economics and Management, Fish Extension Education, Fish Technology and Engineering, Hydrography, (B.M.Sc.) Bachelor of Mobility Science and Visual Impairment, B.Sc. Acturial and Financial Markets, Advanced Zoology and Biotechnology, Allied Health Sciences, Anatomy, Nutrition, Statistics, Aquaculture and fishery Microbiology, Aquaculture, Aqualogy, Bio-informatics, Biochemistry, Biomedical Science, Biostatistics, Botany, Business Information, Clinical Microbiology, Genetics, Molecular Biology, Biochemistry, Life sciences and lots more. Nevertheless, students should gather information about as many courses as they can but if they are aware of their interest areas then filtering the choices becomes easier. For those students who aren’t aware of their interest areas seeking career guidance would be a wise decision. thanku…. it was very effective…. mai bio group se abhi 12th final kiya hu mujhe aap apna sujhaw de ki mai jaldi succes hu? i have completed hsc board examination. I want to continue my education in pharmacy. Which cousce i has to choose whether D.Pharm or B.Pharm and what i have to study after that for the good jobs.